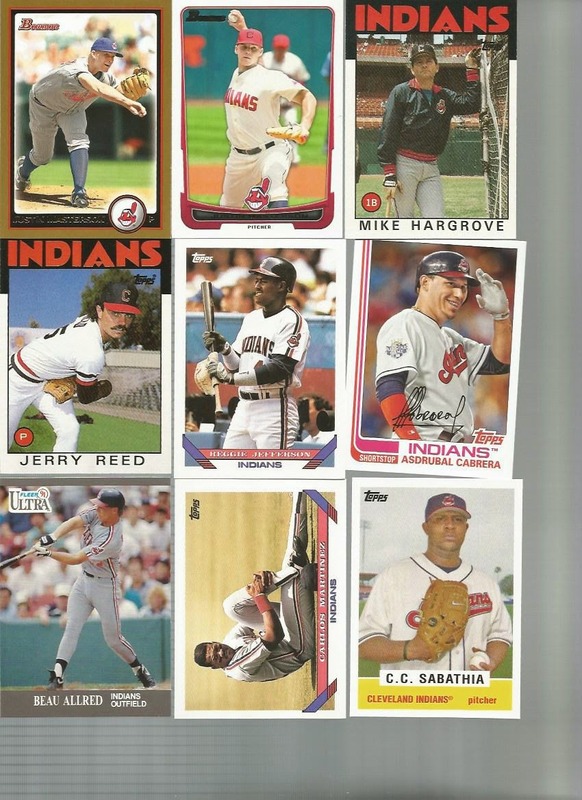 If you've been reading along, you know that I received a large box of packs from Hot Corner Cards. 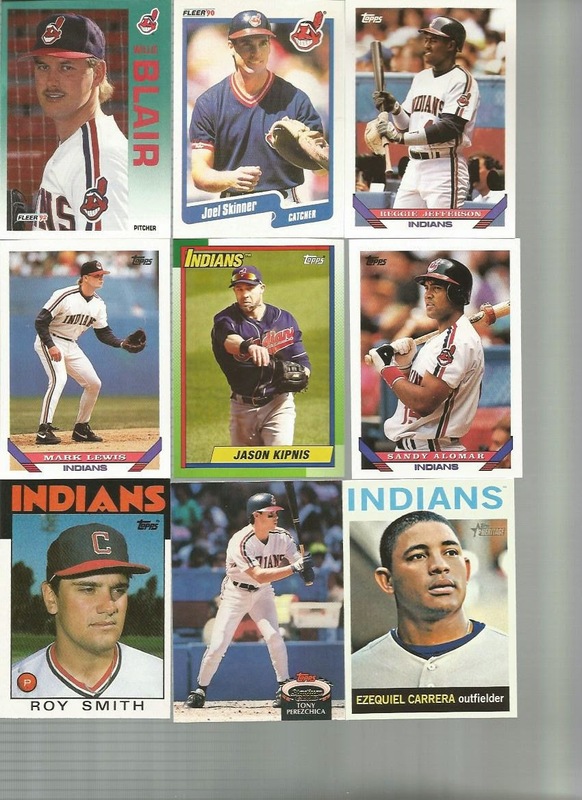 In addition to all kinds of packs, there were stacks of Indians cards! I am VERY late in getting these posted and saying another HUGE thank you to Pat for these cool Tribers. 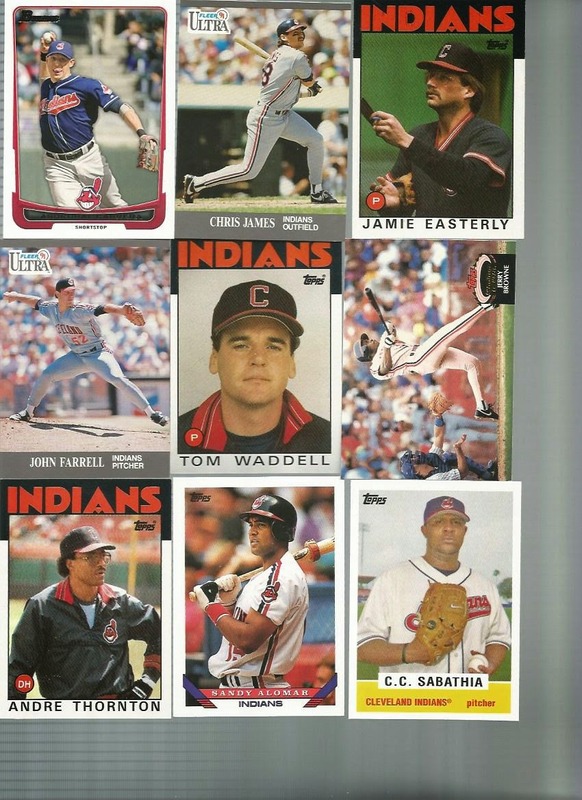 This is part 3 of 3 posts showcasing all the stacked Indians cards from the Hot Corner. Lots of batting and fielding going on here. And, Swisher is still smiling. 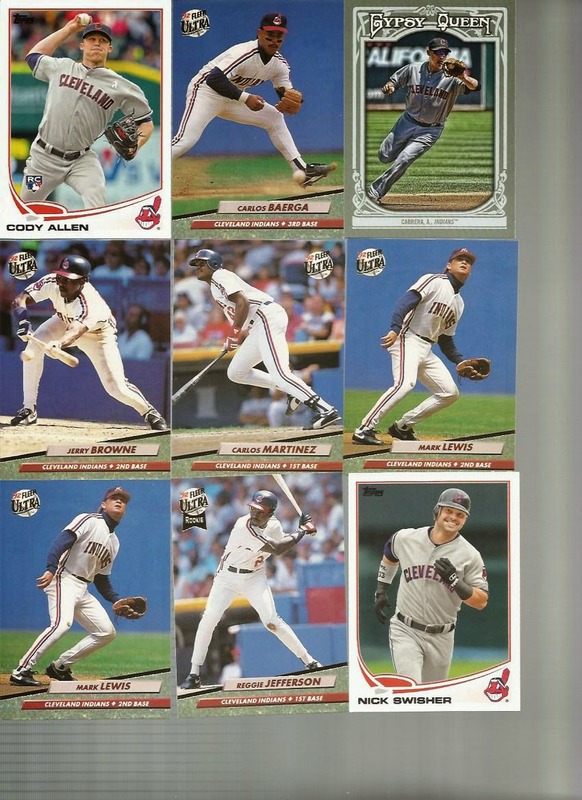 Hey, if I were on a Tribecard, I'd be smiling, too! Yeah, check out that Al Smith! Sure, it's a little traveled, but it is still some great bit of cardboard! Oh, look, Waddell has taken center square. Is it just me, or does Willie Blair look like he should be dressed as the "Man in Black" from "The Princess Bride?" He sure does look like Elwes. 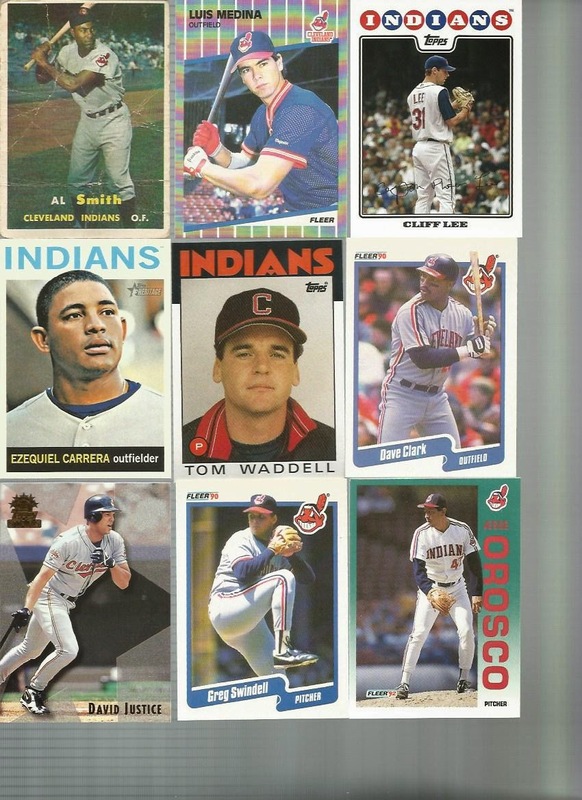 Waddell opts for the upper right corner this time, letting Martinez do some more chilling out. I have no idea what Perez is doing there. "Hey, look upward to your left!" 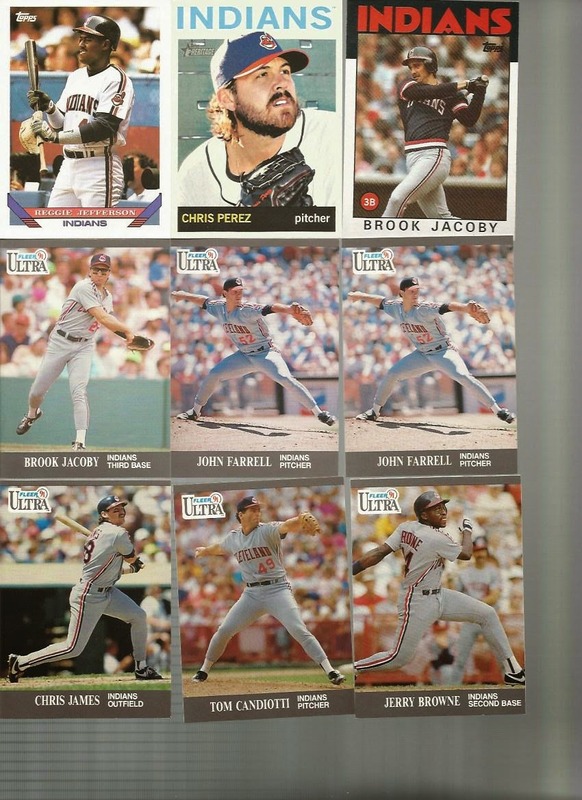 Meanwhile, Jacoby shows up on a couple different cards. 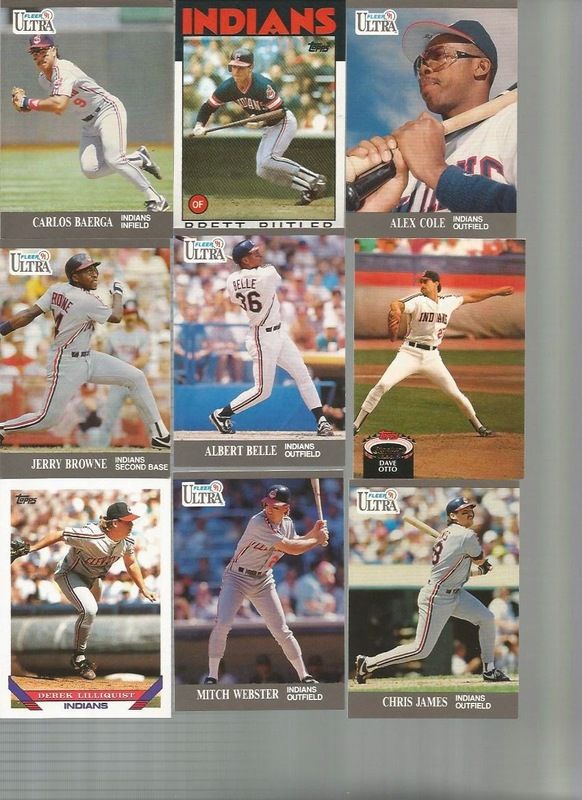 Love the Cabrera "Hockey Stick kind" throwback card there! 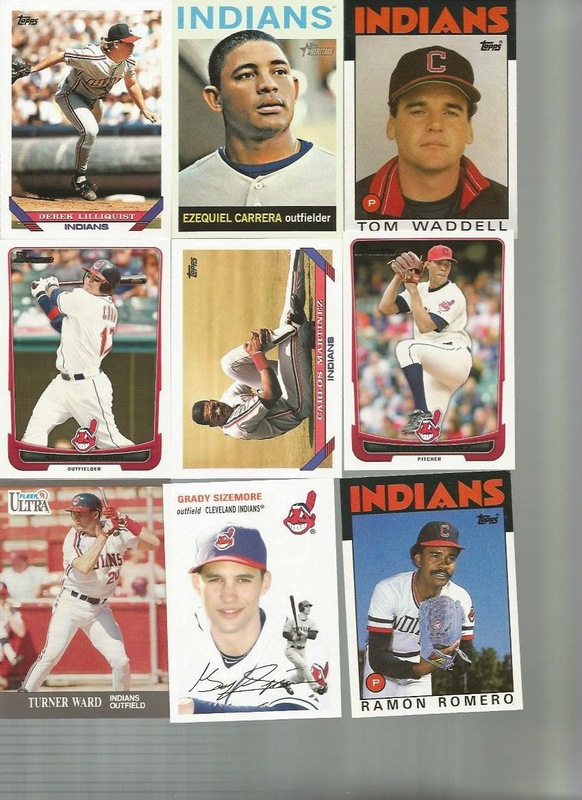 Once again, thanks to Pat over at Hot Corner Cards for these GREAT Tribecards! !